He puts his reflective moods and passion on the canvas so artistically that you become nostalgic of beautiful memories. 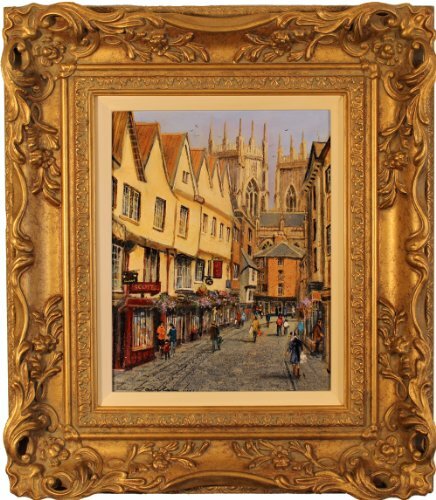 His paintings have captured the beautiful landscapes of Britain and its towns engraving the prints till eternity. He continues to create waves from his artwork and he is an internationally acclaimed artist who has fans worldwide. 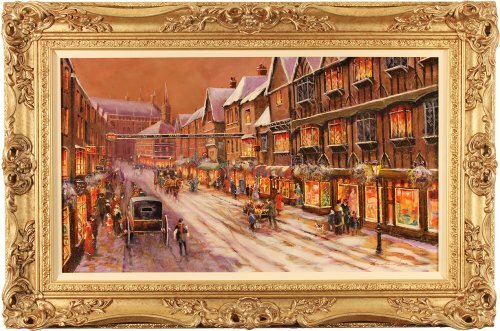 Though his paintings are not found in every nook and corner in America like Thomas Kinkade’s, his paintings have shown an uphill popularity since the passing of Thomas Kinkade. It must have been the lack of marketing and propaganda, because for many of his admirers, he was the true and original “Master of Light”. 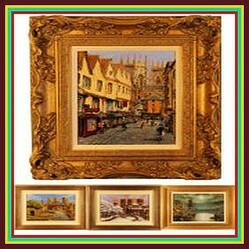 It is said that his paintings were the inspiration behind the success of Thomas Kinkade. True or not, one can always see the beauty and nostalgia that he brings with his paint-brush. Whether it is a winter scene, a village covered in snow or the spring, he has encapsulated the passion extremely well with a generous use of shades that are harmonically balanced. The magic of colors, the contrast and texture wants you to observe them closely and for hours together. Paintings can be relaxing, watching them can calm your mind. 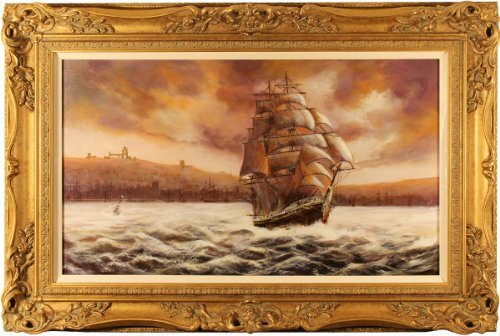 Iconic paintings that summarize the essence, apparent colors that convey the message of Nature’s beauty and bounty go a long way to make your walls complete. You can easily get seduced by the choice of colors and the sceneries he chooses to paint. Demonstrative and tangible, his paintings speak for themselves. They are as abstract as they can be symbolizing the meaning of life. They are magnificent and give a unique edge to the home décor. 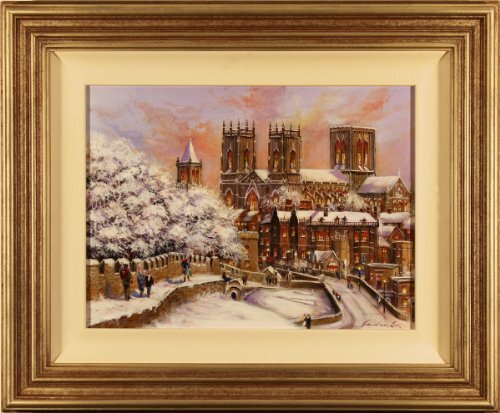 Between Thomas Kinkade and Gordon Lees whose paintings do you like more? 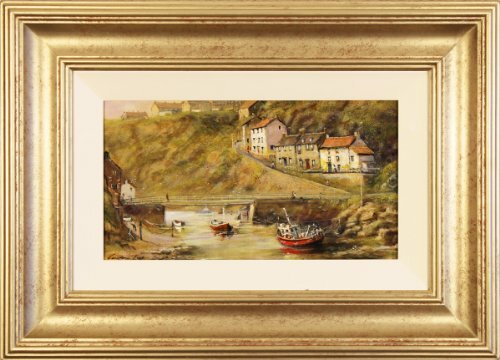 I own an original gouache painting of lower Whitby harbour with the Marine hotel , where my father was born, by Gordon Lees. Bought in Appledor in the 80s. I can't find out anything about it or it's worth. I own Gordon's work, all water colours. 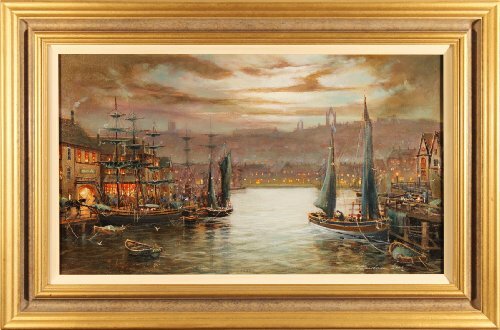 I feel his oils are too much like Kinkade's work and I wouldn't own one of those if you paid me! Stick to watercolour! 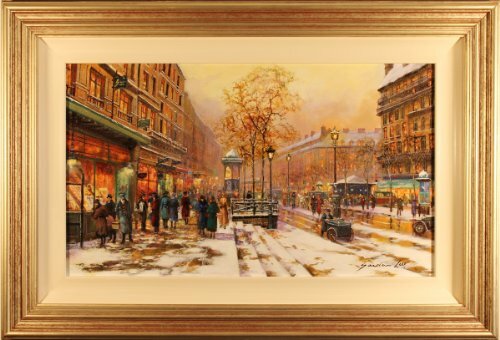 All the paintings look great, I especially like the work on Snowy Evening. Gordon Lees was born in Birmingham, England in 1933, he no doubt had a penchant for beauty. His hidden talent and passion could not find a venue till the mid 1970s. He was undoubtedly a self made painter and artisan who tried his hands on various occupations till he settled down with what was to be his fate and dream. Before becoming an artist, he switched his careers in RAF, industry, mining, commerce and plastic designs. He was a successful industrialist designer. He achieved the zenith of his life when he embraced the work he wanted to do. He used to paint in his spare time, the exhibitions gave him the edge and the path to become a full time artist from the part-time job of painting. His work of art was praised and he became tremendously famous by 1970s, forcing a change of career that was of an artist. 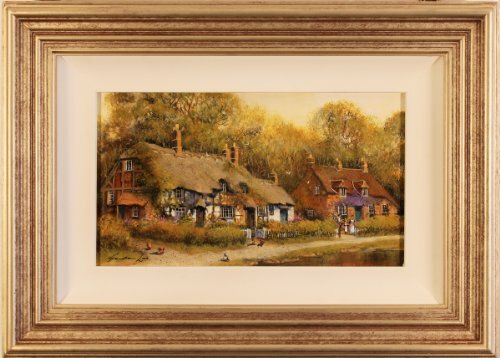 The painting style of Gordon Lees is exemplary, complete with details. He uses themes and colors of the beautiful English countryside that reflect the whole gamut of panorama and the traditions which is enough to take us down the memory lane. The artist lives in the lush, green West Country and takes inspiration from the nostalgic scenes and subjects surrounding the wonderful landscapes. It is what we are missing in the concrete jungle, the peace of a country living, the stillness of the wind and the sound of water flowing in the stream rhythmically. Do you feel Gordon Lees artwork deserves more popularity? Hi EmmaSRose - Thanks for the appreciation. I understand how important it is - true recognition of the artwork in the life time of artists. I felt Gordon Lees artwork deserved more appreciation. Perhaps he is not marketing it as well as Thomas Kinkade. I'm not sure, but the art you featured is very nice. One does not need to be a king to pursue artistic endeavours. With modest means, one can attain aesthetics at home with art nouveau lamps that are decorative and pleasant to eyes.